﻿ Times.am | Armenian newspapers today: who will lead the partial fractions in the Parliament? Armenian newspapers today: who will lead the partial fractions in the Parliament? “Haykakan zhamanak” writes that today in the evening the session of the Armenian Republican Party (RPA) executive body will take place and Armenian President will lead it. Many questions will find their answers tonight. Correspondent of the newspaper tries to find out whether the burnt roof of the RPA building may make obstacles for the session, Head of the organizing commission of the RPA Ruben Tadevosyan announced that the session will certainly take place. “Yerkir” newspaper writes that the leaders of the parliamentarian fractions are already known. So, RPA fraction will be led by Galust Sahakyan, “Prosperous Armenia” fraction will be led by Vardan Oskanyan. “Rule of Law” will be led by Heghine Bisharyan. 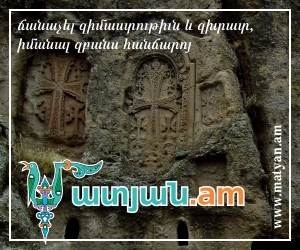 According to the newspaper Stephan Demirchyan is against Levon Zurbyan’s candidacy to become the fraction leader. He wants to get the position himself. Raffi Hovhannisyan wants Ruben Hakobyan to lead the party in the Parliament, but “Free democrats” want to see Khachatur Qoqobelyan in this position. There is no final decision about Armenian Revolutionary Federation. According to “Hayatsq” newspaper all Armenian political parties besides “Prosperous Armenia” and RPA get salary from the US Embassy in Armenia.